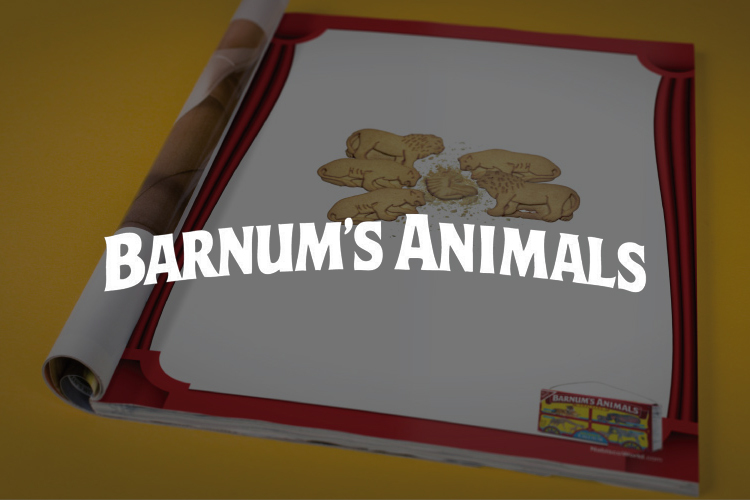 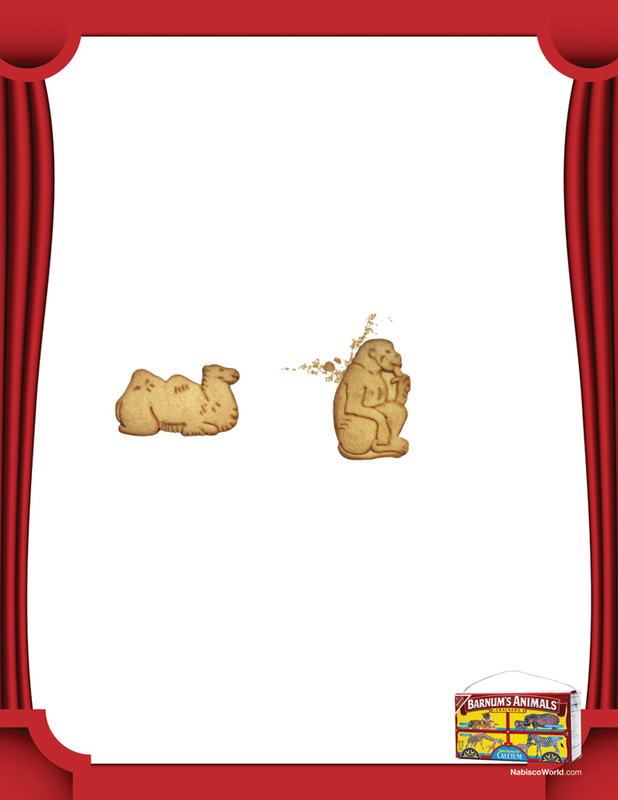 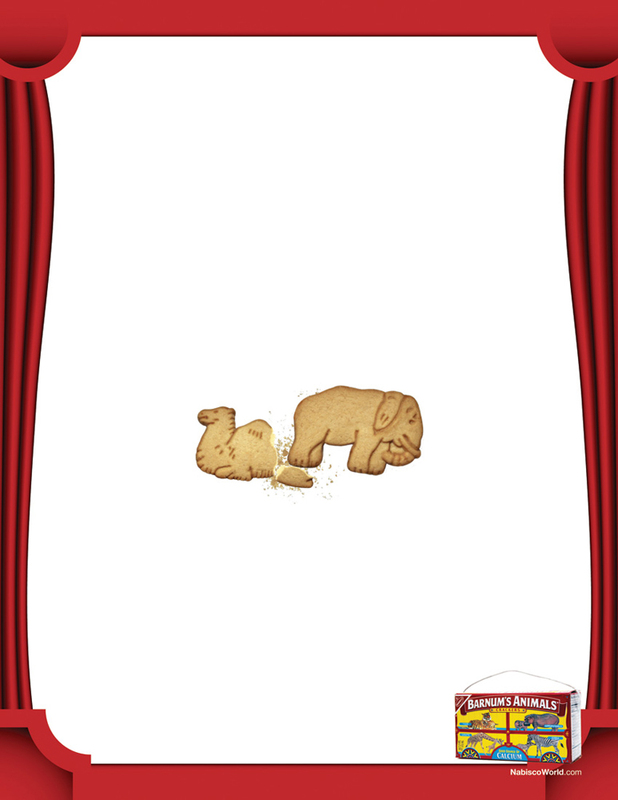 Barnum's Animals Crackers have gained quite a few competitors since its inception in 1902. 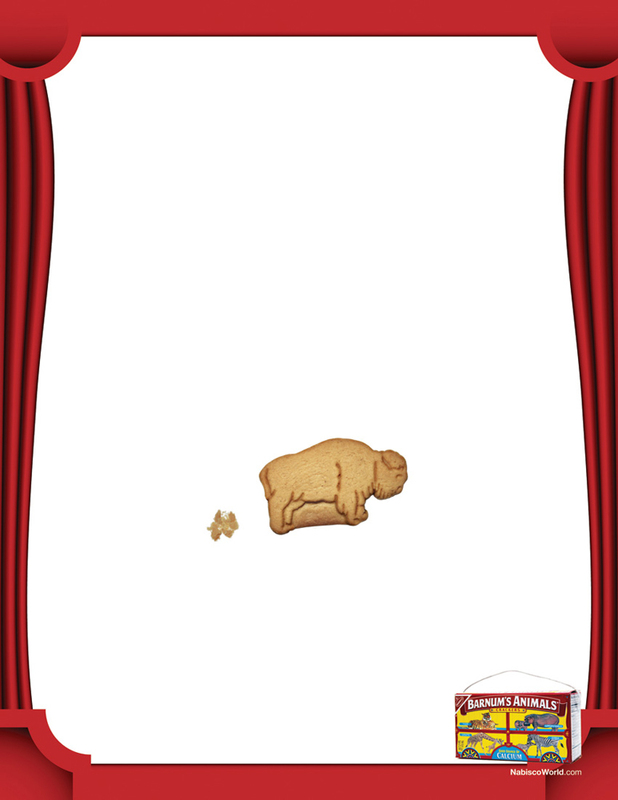 This campaign aims to highlight the benefit Animals Crackers have had all along - the ability of the consumer to play with his food. 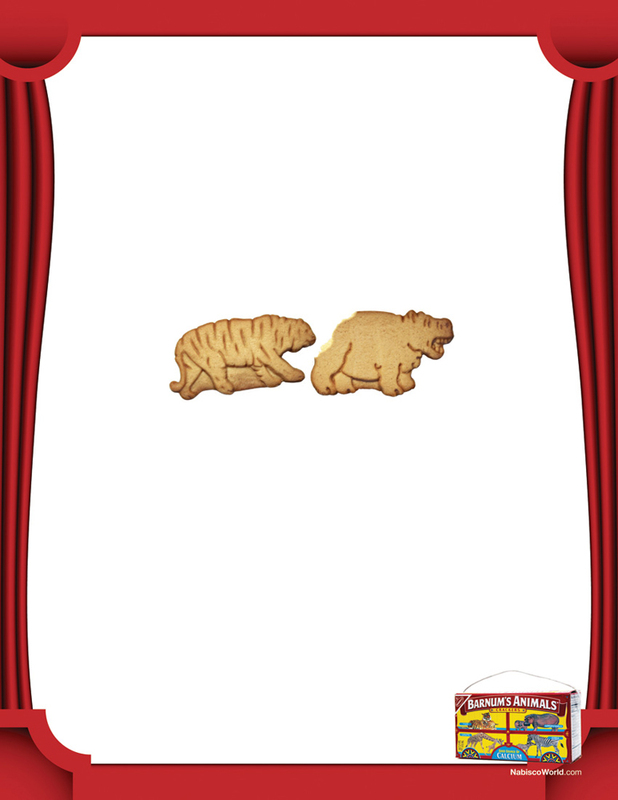 From the silly - a camel spitting at a monkey - to the vaguely disturbing - a pack of lions devouring a zebra - to the ridiculous - a buffalo casually dropping a pile of... umm, crumbs, Animals Crackers are enjoyable in the imagination and in the mouth.